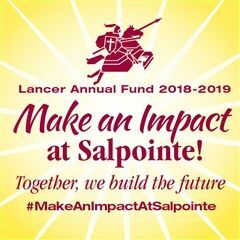 Salpointe Catholic High School is the premier high school educator in the science, technology, engineering and mathematics (STEM) disciplines in Southern Arizona, within a holistic college-prep curriculum. Salpointe’s Cracchiolo Family STEM Center is one-of-a-kind in Southern Arizona and provides a comprehensive, hands-on learning environment with state-of-the art equipment and software. Salpointe’s STEM program prepares students to be effective critical thinkers, problem solvers, collaborators and communicators. Using project-based learning in a collegiate-level facility, students design, fabricate, assemble, research and refine their innovations. Salpointe’s STEM program creates a pipeline of future innovators and an educated workforce to meet the growing needs of STEM employers in Southern Arizona and the nation. Using a project-based teaching model designed to address core standards in STEM disciplines and an innovative new facility, students will learn critical thinking, problem solving and collaboration. Most importantly, students will learn that science, technology, engineering and mathematics can be fun and rewarding.